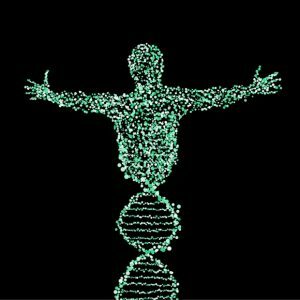 A scoring system has been produced from DNA analysis that enables scientists to predict whether a person can expect to live shorter or longer than the average life expectancy. A team of researchers from the University of Edinburgh (UK) has produced a scoring system based on genetic variations that influence lifespan that can predict whether a person can expect to live shorter or longer than the average life expectancy. Those who score in the top 10% might expect to live up to 5 years longer than those who score in the bottom 10%. “If we take 100 people at birth, or later, and use our lifespan score to divide them into ten groups, the top group will live 5 years longer than the bottom on average,” explained senior author Peter Joshi. The team looked at genetic information from more than 500,000 people as well as their parents’ lifespans. They identified 12 areas of the human genome that have a significant impact on lifespan, including five sites that had not previously been identified. Those that had previously been linked to fatal illnesses, such as heart disease and smoking-related conditions, had the greatest impact on overall lifespan. However, genes linked to other cancers did not appear in the study, suggesting that death in these cancers is either due to societal or environmental factors, or a result of rarer genetic differences. “We found genes that affect the brain and the heart are responsible for most of the variation in lifespan,” commented first author Paul Timmers. Despite these discoveries, the team did not find genes that directly influence how quickly people age and believe their effects were too small to be detected in the study if they do exist. The results also provided new insight into disease and biological mechanisms involved in aging.